If you want to cut a fragment from a favorite song, for example, to set it as ringtone are easily achievable. And not necessarily for it to download audio editor program. First, Windows has a Movie Maker that will perfectly cope with this task. Secondly, in the network there are online services that you can use to cut a piece of any melodies. Start the program Windows Movie Maker: menu "start" — "Accessories" — "Entertainment". In the menu "File" click on "Import into collections" or use the key combination Ctrl+I. browse to the desired music file and wait until it loads in the program. Drag and drop the file icon on the timeline. Play a file and stop at the starting point of the desired fragment. To determine the cut accurately, use the zoom tools. Press Ctrl+L or click the "Cut" at the bottom of the preview view, unnecessary plot the music file is cut off. Define similarly the end point of the desired musical fragmentand cut off all unnecessary. Select the "extra" lines and delete them — you can simply press the Delete key. Move the selected fragment to the beginning of the timeline. In the menu "File" select "Save movie file" or press Ctrl+P. Set the path to save the file and set its name. Select the desired sound quality settings. Wait until the file creation process. Click on the "finish"button. Keep in mind that the finished audio files Movie Maker only saves in. wma format. If this format you somehow not suitable, the file will have to handle software Converter or to use another program to cut files. For example, use the online service http://www.mp3cut.ru/prog_spilt_onln. Go to the service page and click on the "Download mp3" to select the desired file on your computer. Wait until your chosen ringtone will be downloaded on the website. Move the sliders on the timeline to select the desired music fragment. When ready, click on the "Cut and download" — ready cut is automatically downloaded to your computer. 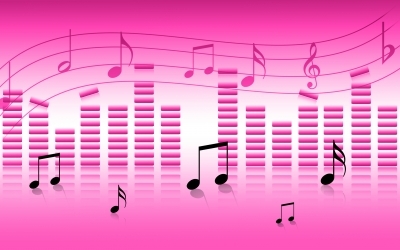 If you want to use as a ringtone snippet of a song or musical composition, is better to use one of the special programs that are able to quickly and easily cut any fragments from music files without any loss of quality. To cut out a fragment of a song, you can use the free program MP3DirectCut, which can be downloaded from official developer website at www.mpesch3.de1.cc. After the program is installed, start it. The program prompts you to select the interface language. Select Russian from the list, then the program will ask permission to restart. Click OK. In the opened window click on "File" then "Open" then you need to select the music file from which you need to cut the fragment. After selecting the file, click OK – the file will be downloaded into the program. Now you need to play the song to the desired time by using the Play button (triangle in the lower right corner of the program), then, in the right place, click "Start" or press B. After the song lose before the end of the desired fragment, click "End" or press N.
The fragment highlighted. It can be corrected or set the label again, and then save. To save the selected segment of the song, click "File" and then "Save selection", or press Ctrl+E. you will be asked to choose a name for the new file and choose a location to save. After that, click OK, you save the cut piece song. "From the song words can not erase" - this is true, but to cut a piece (fragment) of it is still possible. Our free online program for cutting music it allows you to do. Using the function "inversion", you can easily cut part of a song from her mid or to remove any section of a tune. Thus, only a few clicks and you will be able to cut a piece from the song. Thus, only a few clicks and you will be able to cut a piece from the song. Online trim mp3 not only cuts out part of the song from her middle, and automatically adheres (joins) the resulting segments. Any piece of songs you selected? Then click Cut and download, and the fragment immediately you can save on your computer. Trim the song online is much easier than to download and deal with it. Trimming music is one of the most popular audio processing tasks. If you want to create ringtone to your cell unusual ringtone alarm or to separate the chorus from the song without cropping music is not enough. Very pleased with the fact that to produce a crop the sound file can be achieved by everyone with the simple algorithm. First you need to install a package of useful software Nero. You can download it (for free) from the website www.nero.com. It is advisable to download the latest version of the distribution, as it always has many more interesting features than the previous one. After downloading this software, you can begin to install products Nero. The installation of software from Nero is automatic. Almost everything you will need during installation, double click on the downloaded installer, click "Install" and enter in the dialog box, your personal data (name, place of residence and email address). Your address will receive company news , Nero and tips on how to use its products. To trim music in Nero we need to run one of the installed applications: Nero WaveEditor. In it we discover a desired audio file (for this we can use the "Open" button in the toolbar or just drag an audio file to the desktop program). After opening a sound file, we can start cutting music. We see the frequency pattern of the file (that is, we see sound with your eyes, than it resembles a cardiogram), which can work with the image. If we need to cut a piece from a song, you need to decide only with its beginning and end. To do this, listening to the sound file to the desired location (using the toolbar button "Play", then press the pause allocated to junk (from the beginning to the straight white line). This entire fragment will stand out in white. Then click the right mouse button and click "Cut". So we can trim any audio file in Nero. When cutting music better save the clipped audio file in the same format as the original. Save music in another format can cause errors and loss of quality. 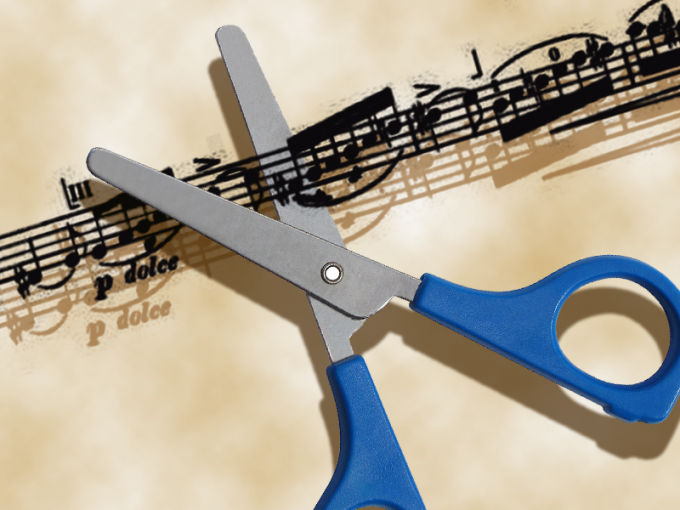 There are special programs for cutting music. Of course, in functionality they greatly lose Nero, but they are much easier. To crop a sound file in such programs is much faster than Nero. An example of such a program: Wavosaur 1.0.5.